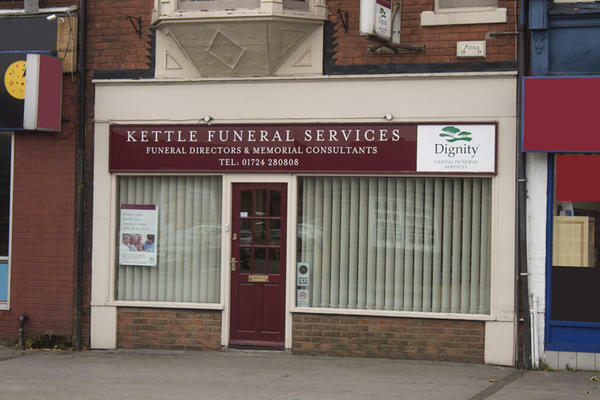 We are Kettle of Scunthorpe Funeral Directors in Scunthorpe, and we are here to help you to arrange a bespoke, fitting farewell for your loved one. Whatever you have in mind for their funeral service, we will be able to help you make it happen. We have experience conducting all kinds of funerals, from religious and non-religious services, to woodland burials and horse-drawn funerals. As Dignity funeral directors, we will draw upon a wealth of knowledge and expertise to ensure that the service is exactly as you want it to be. You can get in touch with us 24 hours a day by telephone. We are always on hand to advise, guide and support you, helping to make a difficult time a little bit easier for you and your family. Call us today on 01724 280808 to talk through your personal requirements. At Kettle of Scunthorpe Funeral Directors, we understand how special life is with those that you love. For us, every funeral is unique and personal. We have a service to fulfil every wish, with every detail carried out with the same uncompromising quality of care. From a traditional service, to a colourful woodland burial, your options are limitless with our Full Service Funeral. If you have a little more flexibility when it comes to arrangements, then we can provide a Simple Funeral for a lower cost. There is free parking at the rear of the funeral home for up to two hours. We are a two-minute walk from Sainsbury's and Lidl. Our staff are available 24 hours a day on 01724 280808 if you require our services outside of these hours. The service we received from Kettle of Scunthorpe was excellent, very professional and supportive. We, as a family, believe that the staff went over and above to give our greatly missed relative a beautiful farewell. Thanks also for recommending the celebrant who also gave our loved one a comforting and meaningful service. Words cannot express our greatful thanks. Kettles provided a very professional service with absolutely no problems or hiccups from start to finish. Their communication was excellent. Brian was a gentleman at all times. Thank you for sharing your experience with us on your online review. I am pleased that we were able to look after you and your family at this difficult time and that all of the arrangements were carried out to your satisfaction. Thank you for posting your online review. I am pleased that we were able to look after you at this difficult time and that all of your wishes and requirements were carried out by the team as you had requested. As this was the first time I had to arrange a funeral, it was a very frightening, and emotional situation I found myself in,until I met Hannah from Kettles at Scunthorpe. From the moment I met her, I felt she was a true friend that would be able to get myself and the family through the sad times which faced us. I wasn’t wrong, she went that extra mile, to make sure each day, I had a friendly phone call to make sure I was ok, and update me on everything that was going on. On the day of the funeral, again she made the situation comfortable, always asking if I was ok, which meant a lot to us all. She was professional, kind hearted, and nothing was to much for her. Thank you Hannah, kettles have certainly got a person who takes pride in her work. And thank you to all the drivers, who also were very professional and a credit to the company. Thank you for taking the time to send your online review to us. I am happy to hear that we were able to help ease any worries that you may have had and that we were able to provide you with the care and support needed at this time. Our experience at Kettle's was very good. Everything was explained but as we had already gone through this process less than two years' ago it was quite straightforward. Because it was a prepaid funeral dad had already done most of the planning. The staff were lovely at all times and especially so at the funeral. Thank you.